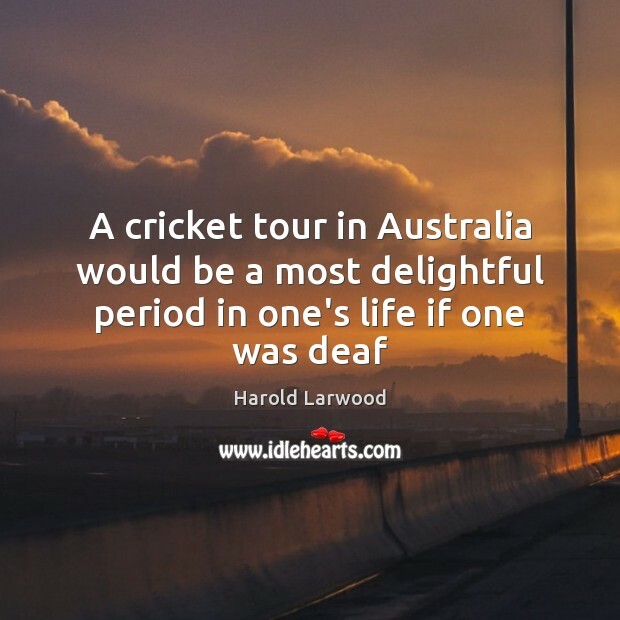 Quotations about Australia. Quotes to stimulate mind and drive action! Use the words and quote images to feed your brain inspiring things daily! 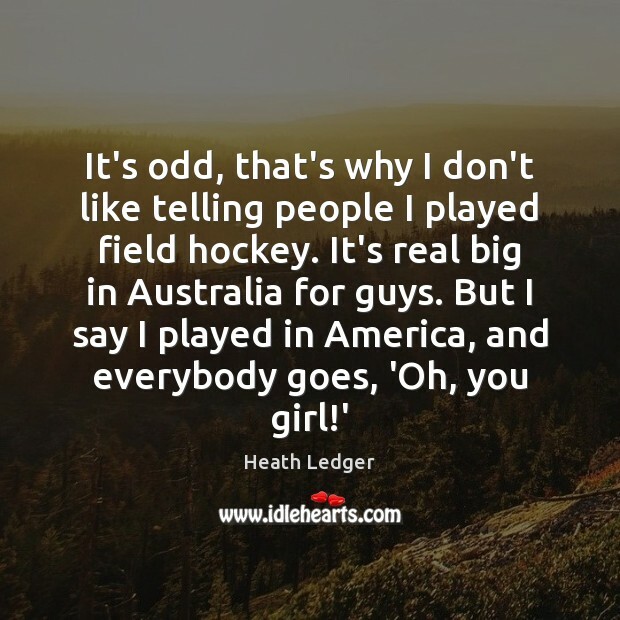 I do think that there's a special connection between Australia and America. It's kind of unexplainable. It's just one of those things. It's all about God's timing. We're thankful to be a part of it. 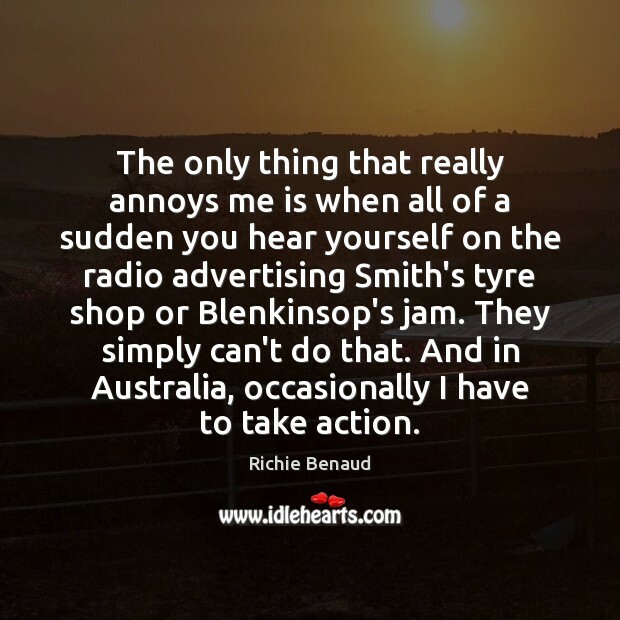 The only thing that really annoys me is when all of a sudden you hear yourself on the radio advertising Smith's tyre shop or Blenkinsop's jam. They simply can't do that. 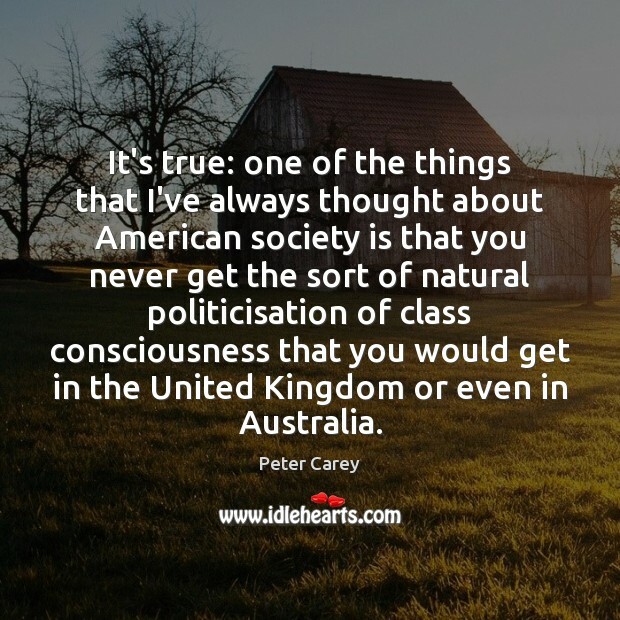 And in Australia, occasionally I have to take action. There is a white girl from Australia that spits in an Australian accent, and her name is Chelsea Jane. That I can get into. Teach me Australian Hip-Hop culture. Don't come to America and try to convince me that you're Gangsta BooWe're not going to believe you if you're trying to convince us that you're out here trap shooting. Singing at the Opening Ceremonies of the Sydney Olympics in 2000 was amazing and, probably the highlight of this decade is the opening of the Olivia Newton-John Cancer and Wellness Centre in my hometown of Melbourne, Australia. 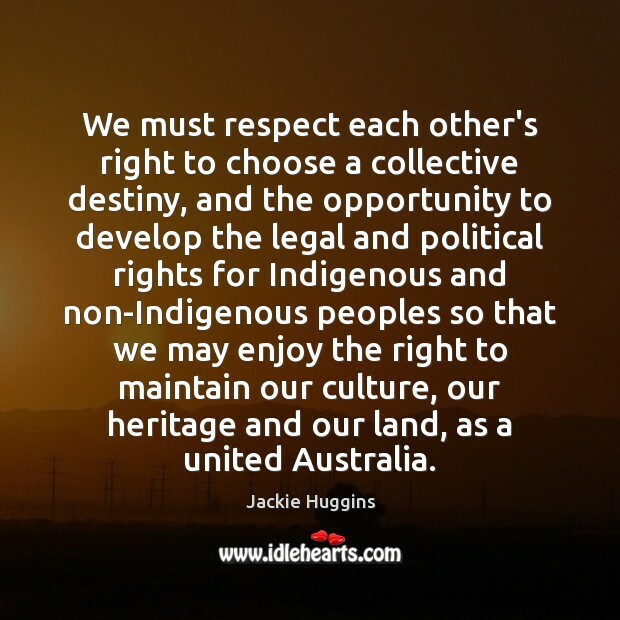 We must respect each other's right to choose a collective destiny, and the opportunity to develop the legal and political rights for Indigenous and non-Indigenous peoples so that we may enjoy the right to maintain our culture, our heritage and our land, as a united Australia. Civilized life, if it is to be stable, must provide a harmless outlets for the impulses which our remote ancestors satisfied in hunting. 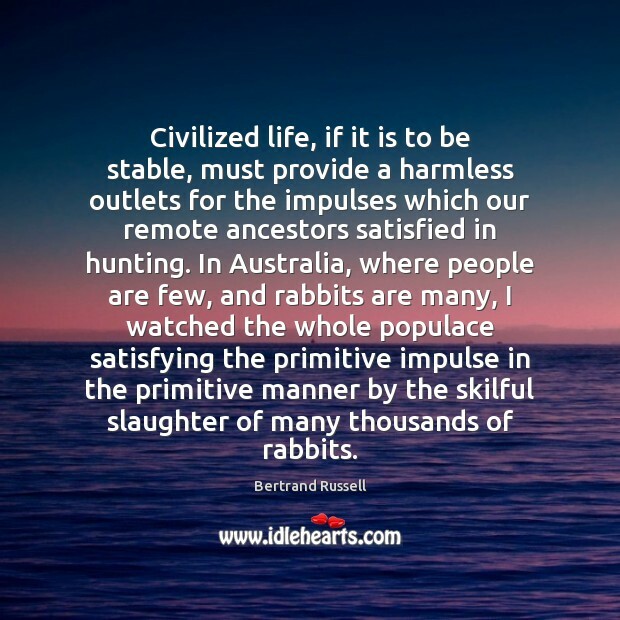 In Australia, where people are few, and rabbits are many, I watched the whole populace satisfying the primitive impulse in the primitive manner by the skilful slaughter of many thousands of rabbits. 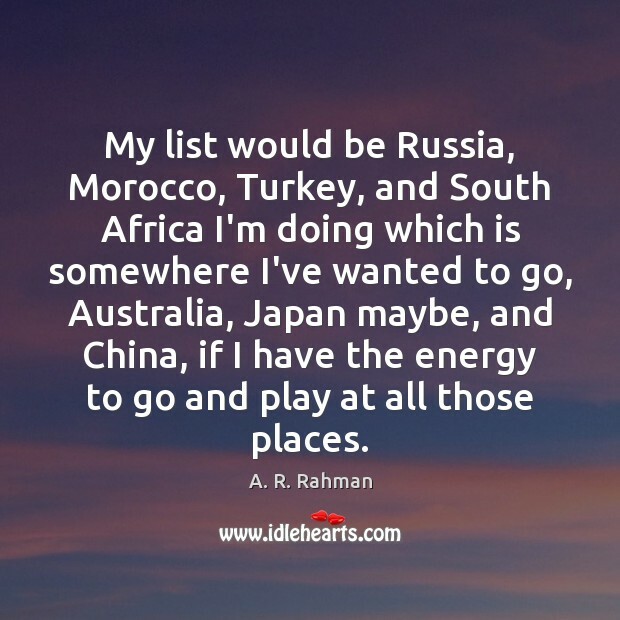 My list would be Russia, Morocco, Turkey, and South Africa I'm doing which is somewhere I've wanted to go, Australia, Japan maybe, and China, if I have the energy to go and play at all those places. 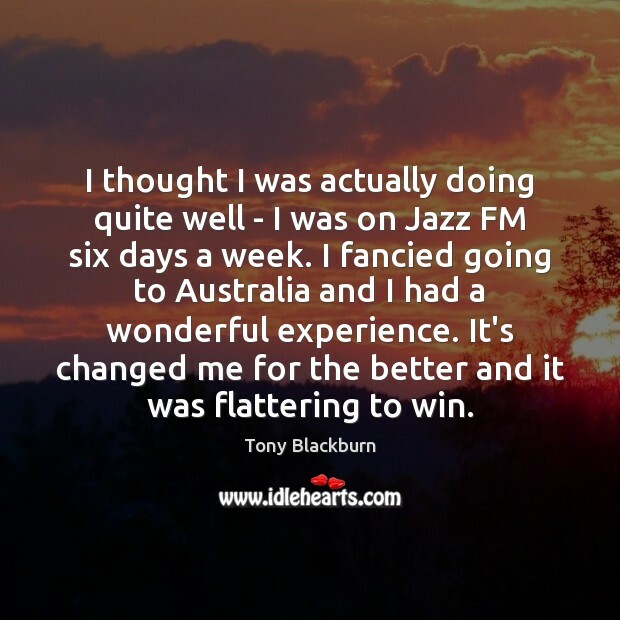 I thought I was actually doing quite well - I was on Jazz FM six days a week. 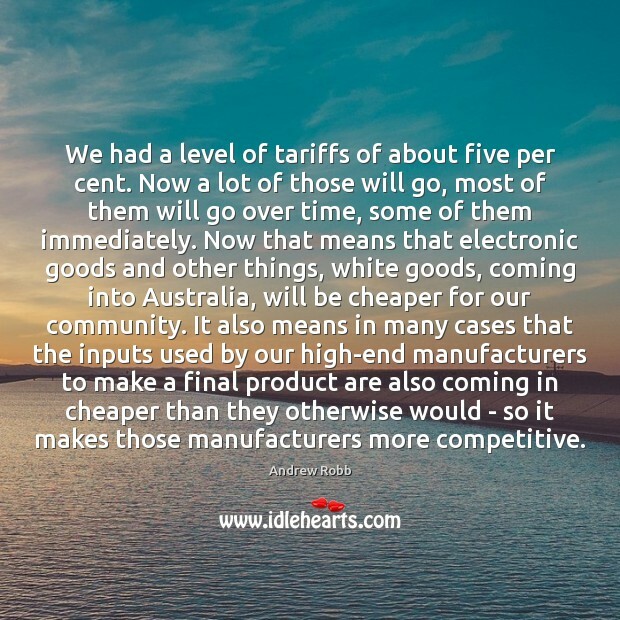 I fancied going to Australia and I had a wonderful experience. It's changed me for the better and it was flattering to win. 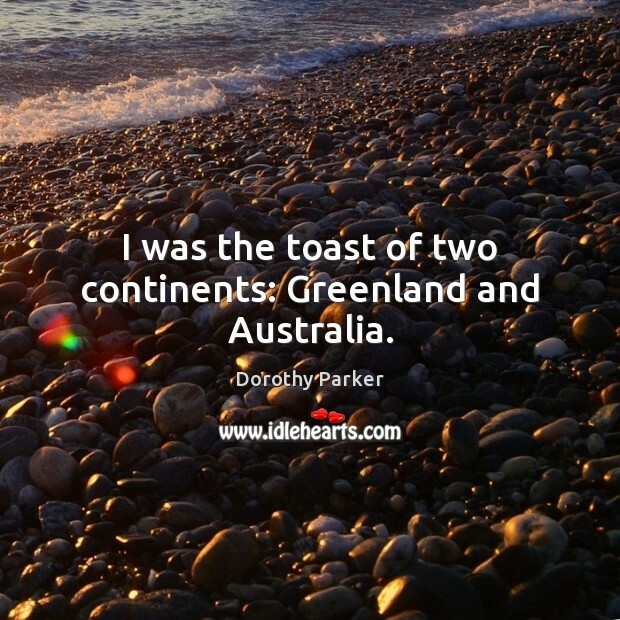 I was the toast of two continents: Greenland and Australia. 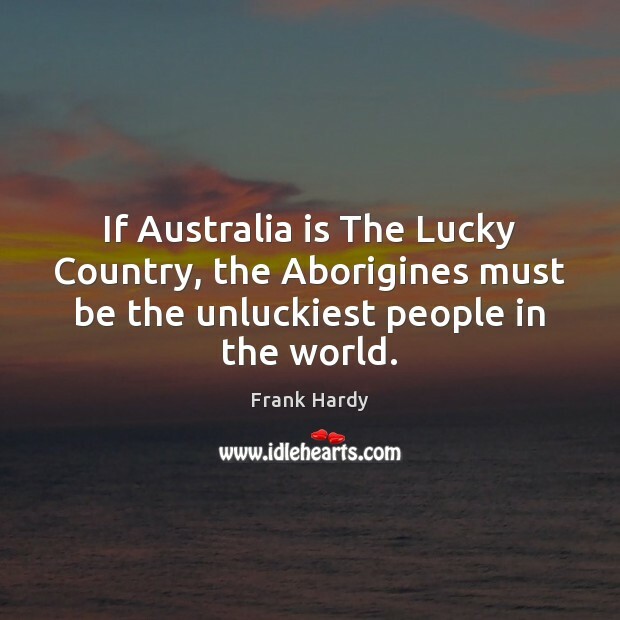 If Australia is The Lucky Country, the Aborigines must be the unluckiest people in the world. I took part in two 'Leverage' conventions. Fans fly in from as far as Russia and Australia. It's expensive to attend. I was first in Sydney in 1993, and have been a few times since then. 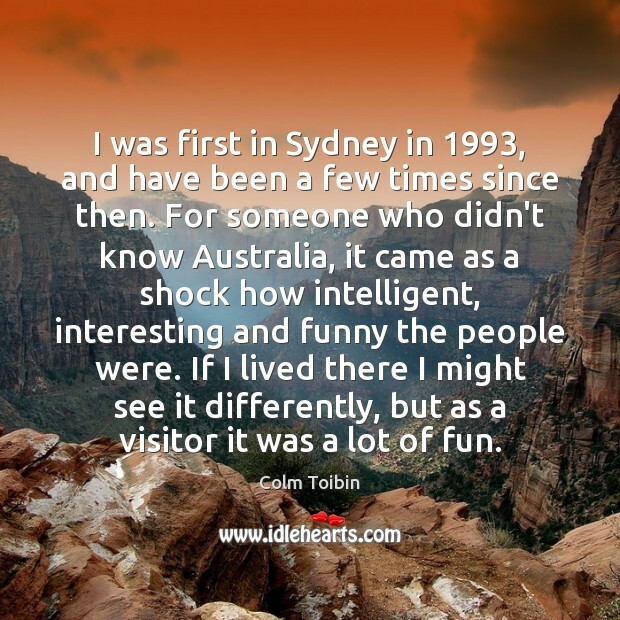 For someone who didn't know Australia, it came as a shock how intelligent, interesting and funny the people were. If I lived there I might see it differently, but as a visitor it was a lot of fun. 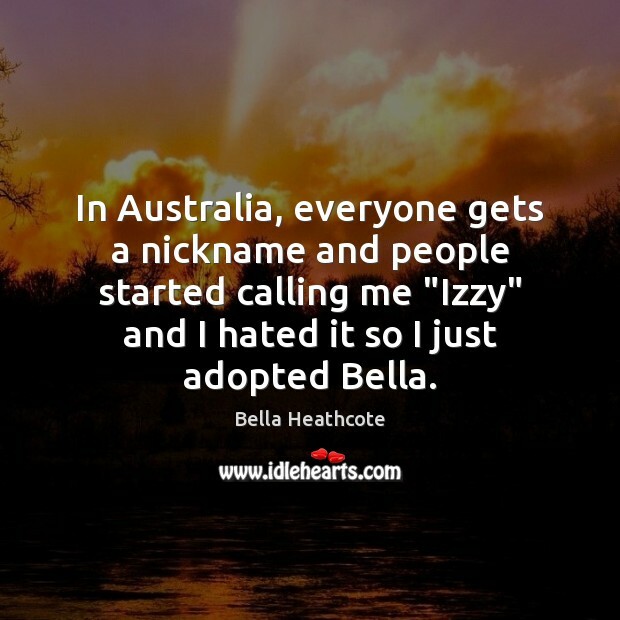 In Australia, everyone gets a nickname and people started calling me "Izzy" and I hated it so I just adopted Bella.